Saturday Night Live has booked the Alabama Shakes as musical guests for its February 16th episode, Deadline reports. Django Unchained star Christoph Waltz will serve as host for the night, eight days before the Academy Awards on February 24th. Waltz won a Golden Globe earlier this month for his role as bounty hunter and former dentist King Schultz in Django, and he is up for Best Supporting Actor at the Oscars. 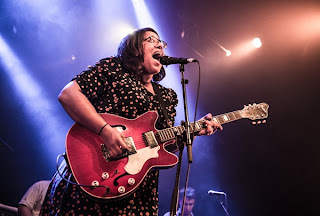 The Alabama Shakes will also be busy this awards season; they're up for Best New Artist at the Grammys on February 10th. "I'm just happy [that] my Nanna's happy," singer Brittany Howard told Rolling Stone last month of the band's nomination.